What could be more inviting than a delicious, perfectly decorated cake? 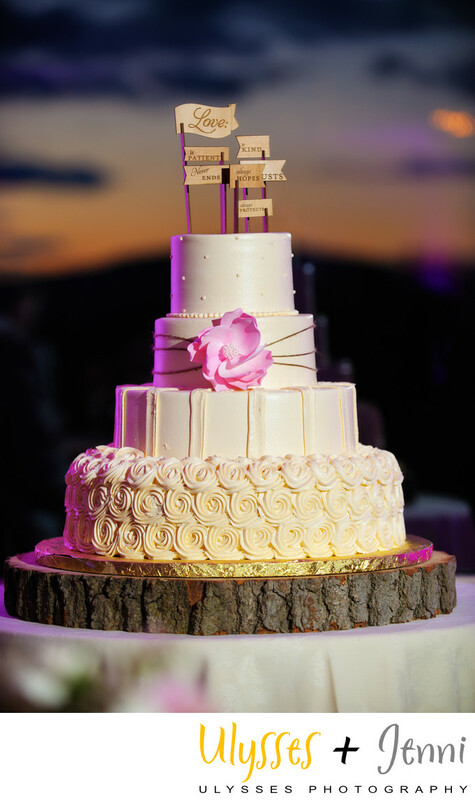 I know: A cake in front of a Hudson Valley sunset! The rich blues, purples, and oranges of the sky frame this 4-layer cake exquisitely. Keywords: New York (24), Spring (102), Steph + Phil (6), Stephanie + Phil (12), The Garrison (24), wedding (528).